Time and again, we hear of important services–some as big as Adobe and Buffer–getting hacked and losing high-security information like accounts and passwords. 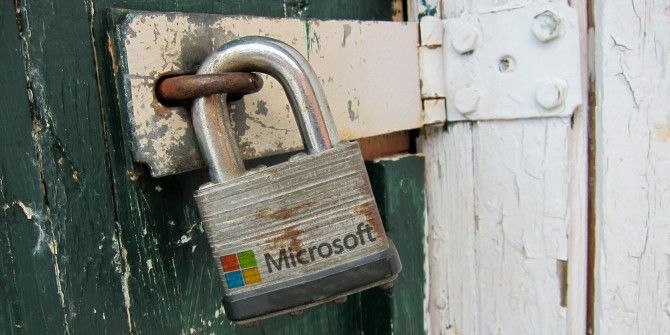 It’s best to lock down your accounts as tightly as possible beforehand and Microsoft is taking a step in that direction with its new security features for online accounts. Back in April, Microsoft added two-step authentication to its online accounts. It’s one of the 5 ways to deter hackers 5 Ways to Prevent Hackers From Accessing Your Online Accounts 5 Ways to Prevent Hackers From Accessing Your Online Accounts Getting hacked is an unfortunate part of being on the Internet today. But by using some simple, yet effective security measures, you can make any hackers dream of getting into your accounts, an absolute nightmare. Read More , so you should enable that if you haven’t already. Following this up, Microsoft is now providing information about recent activity, recovery codes and security notifications. One of the potential problems with two-step authentication is that it is dependent on a separate device, like your mobile phone. In case your verification fails for whatever reason, the new Recovery Code acts “like a spare key to your house”, Microsoft says. You can create this secure recovery code and use it for emergencies. And yes, you don’t need to have two-step authentication enabled to access this feature. All the recent activity in your account is displayed in one page, including sign-ins and security information changes, along with which device, browser and location the change was made from. If you see something suspicious, click the “This Wasn’t Me” button to launch a series of steps to further protect your account. Microsoft will inform you about any security-related activity you need to know, and now you can customise how you get that information. Your primary email address will get that notification by default, but you can also add other devices, like phone numbers or additional emails. So go on and activate these in your Microsoft account, under the settings. And while you’re at it, check if you are following these 7 email security tips 7 Important Email Security Tips You Should Know About 7 Important Email Security Tips You Should Know About Internet security is a topic that we all know to be important, but it often sits way back in the recesses of our minds, fooling ourselves into believing that "it won’t happen to me". Whether... Read More . Incidentally, it might be wise to also check if your entire PC is secure with our universal guide to PC security. Explore more about: Microsoft, Online Security, Windows Phone. Does it give us also the option to trace back history beyond 30 days?